We are happy to join the 2-month artist residency in Hildesheim and meet other artists to work on an interdiscipilary project for the European Festival for Performing Arts. 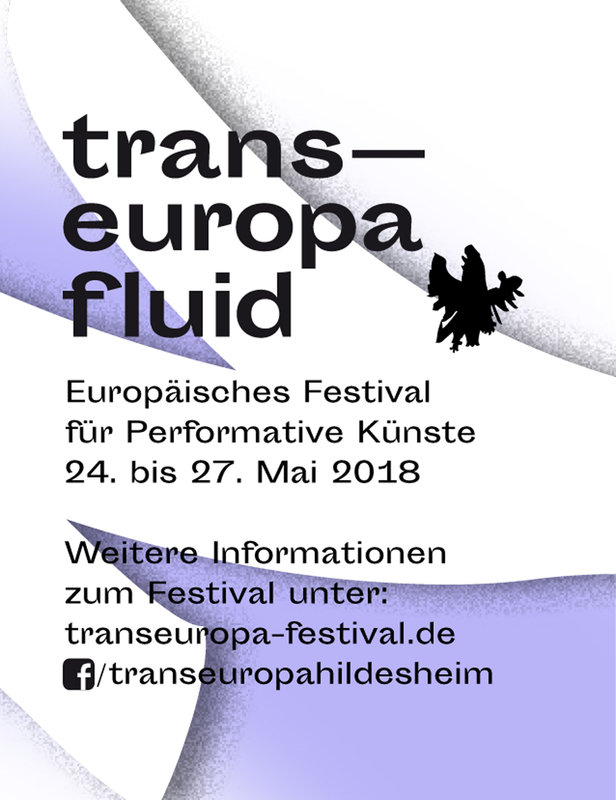 The 9th edition of the transeuropa – european festival for performative arts will be taking place from may 24th until may 27th 2018 in Hildesheim. As a collegiate festival, transeuropa provides many possibilities for young artists on the verge of becoming professional: to present themselves to an interested audience, to network and to test drafts of a prospective european art and cultural scene. To strengthen the profile of the festival as a platform for networking and collaboration, the transeuropa fluid 2018 will be a residency festival only. A selected group of 13 young artists who work and live primarily in Europe will create in a collaborative process within the 8 week long residency a program that will run for four days. Transeuropa fluid 2018 will be a place for temporarily creative collaboration and exchange. The collegiate festival invites young european artists of all disciplines, theorists of all kinds and an international audience to Hildesheim. In form and content »fluidity« is the initial interest of transeuropa fluid. transeuropa e. V. is a non-profit association, which supports and encourages the young performance art scene in Europe since its foundation in 1993. For this reason, the transeuropa festival takes place in Hildesheim every three years. transeuropa is known as one of the biggest collegiate festivals for young european theatre and performance art and has a long tradition as an european event.